Suppose that you or an employee accidentally damages electronic data that belongs to a customer. If the customer sues your firm for the cost of reconstructing the data, will the suit be covered by your general liability policy? The answer is likely no. However, you can buy back some coverage for data-related claims via an endorsement. The meaning of electronic data is explained in a lengthy definition contained in the exclusion. Essentially, the term means information, facts or programs stored, used or created on computer software. General liability policies distinguish between tangible and intangible property. Tangible property is property that can be touched or felt. Examples are a desk and a computer. Intangible property has no physical substance. An example is a copyright. Damage to electronic data does not qualify as property damage under a general liability policy. "Property damage" means damage to tangible property. Electronic data is not tangible property. This is clearly stated in the definition of property damage. The Electronic Data exclusion eliminates coverage for most claims or suits that arise from loss or damage to data. Here are some examples of excluded claims. Larry's Landscaping has been hired by Prime Properties to plant trees at an office complex Prime owns. While using a backhoe to dig a hole, a landscaping employee accidentally cuts a cable that provides Internet service to Prime's tenants. The cable is out of service for two days. Due to the outage, several tenants are unable to conduct any business because they have no access their online data. They later sue Larry's Landscaping for the income they lost during the outage. Best Billing provides billing services to Dynamite Dental, a dental office. Best Billing submits claims to insurers, bills patients, and collects payments owed to the dental office. A Best Billing employee inadvertently sends a malware-infected file to the dental office. The malware corrupts all of Dynamite Dental's patient files. Dynamite Dental sues Best Billing for the cost of reconstructing the files. Expert Electric has been hired by Apex Apartments to install a new electrical panel in the apartment's rental office. An Expert employee is testing a newly installed panel when he accidentally causes a power surge. The surge damages the hard drive in a computer located in the rental office. All of the files on the drive are lost. Apex sues Expert Electric for the cost to restore the data. The Electronic Data exclusion contains one exception. Coverage is provided damages that result from bodily injury. That is, if you accidentally lose, damage or corrupt someone else's data, and the incident results in injury to a third party, the injury should be covered. For example, in the Expert Electric scenario described above, suppose that Alan, the owner of Apex Apartments, is working on the office computer when the power surge occurs. The surge causes Alan to receive an electrical shock, and his hand is badly burned. If Alan sues Expert Electric for bodily injury, the claim should be covered by the electrical contractor's general liability policy. Some coverage for data losses is available via an endorsement called Electronic Data Liability. This endorsement modifies the Electronic Data exclusion. If the endorsement is attached to your policy, the exclusion applies only to data losses that do not result from physical injury to tangible property. That is, the exclusion does not apply to loss, damage or corruption of data that results from physical injury to tangible property. In the Larry's Landscaping scenario outlined previously, the tenants lost access to their data after a landscaping employee accidentally cut a cable. The loss of data resulted from physical injury to tangible property (the cable). If the landscaping company's liability policy includes the Electronic Data Liability endorsement, the tenants' claims against the company should be covered. 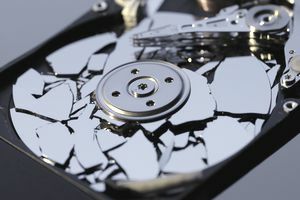 In the Expert Electric example cited above, an Expert employee caused physical damage (by an electrical surge) to tangible property (the hard drive). If Expert Electric's liability policy includes the Electronic Data Liability endorsement, Apex's claim for the lost data should be covered. Note that the endorsement would not cover the suit by Dynamite Dental against Best Billing. In this case, electronic data was damaged by malware. Because the damage did not result from physical damage to tangible property, Dynamite's claim against Best Billing would not be covered. To protect itself against claims stemming from data losses caused by malware (and other cyber risks), Best Billing could purchase a cyber liability policy. What Does a Cyber Liability Policy Cover? What Qualifies as an "Insured Contract"?